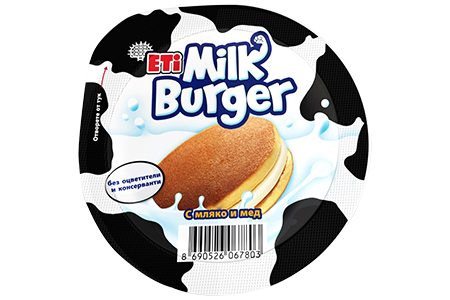 Milk Burger is a chilled cake especially created to satisfy both the children and the mothers. Having a unique design of the cake, shaped like a burger it is liked by children. It is loved by the mothers due to the rich milk and honey content, yet low in calories, as well as the lack of trans fats, added coloring and preservatives. Milk Burger is appreciated already by the vast majority of consumers and it received as well the industry’s acknowledgement when ACNielsen declared Milk Burger as the 2016 Innovation in Europe. The power of milk in a burger!